Great design isn't just for your clothing - you want to reflect your great sense of style in your accessories, too. 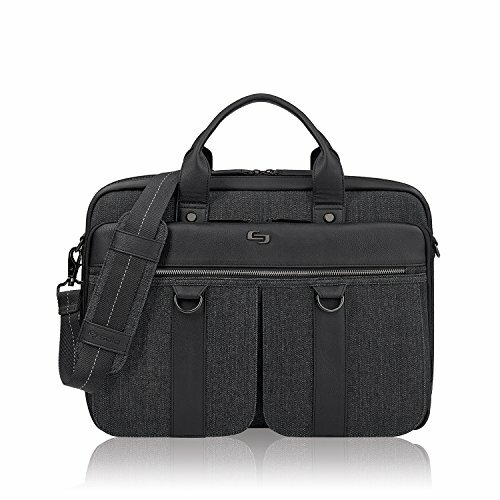 The Solo Bradford Briefcase offers great functionality with cutting edge style. The Bradford features a protective, padded compartment for your laptop (up to 15.6 inches), quick access pocket, and a front zip-down organizer section. Removable/adjustable shoulder strap and Rear Ride-Along strap for consolidated travel come standard on the Bradford Briefcase.